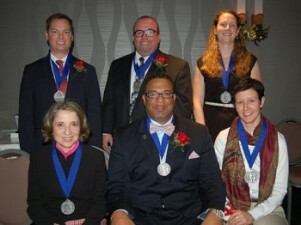 Congratulations to this year’s Distinguished Lasallian Educators! 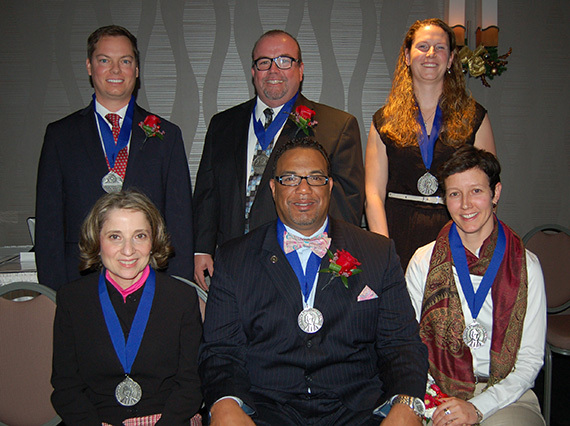 The seven awards were presented on Saturday, November 22 at a banquet at the Holiday Inn Chicago Mart Plaza, held at the conclusion of the 2014 Huether Lasallian Conference. Each year, educators from the Districts are selected by their ministries and recognized for their exceptional work as leaders among faculty and students. These Distinguished Lasallian Educators receive the award for touching the hearts and minds of their students, often leaving a lasting impression that makes a difference in the world. Cecilia Gottsegen is now in her 40th year as a Catholic Lasallian educator with the last 34 years in service to the community at Bishop Loughlin Memorial High School. 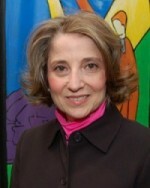 During those 40 years she has been a teacher, counselor and now assistant principal. From early on Cecilia was actively engaged in learning about the Lasallian mission and embracing it. She is a Lasallian Leadership Institute graduate, International Lasallian Center (CIL) participant, co-founder of a Lasallian associative group, member of the former Long Island-New England (LI-NE) mission council, a delegate to two mission assemblies, and has attended countless Lasallian education and formation programs. She is indeed the quintessential “first generation” Lasallian Partner! D. Troy Kennedy has been affiliated with La Salle School since 1981. He is one of a few who returned to the agency to begin his career after having been a youth in La Salle’s residential program. 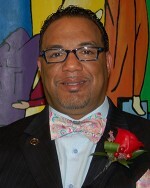 He has been on staff since 1996 and is currently the assistant to the associate executive director for staff development. D. Troy has served as a child care worker, division manager, residential supervisor and direct care trainer. He is certified in therapeutic crisis intervention, serves on numerous local community committees, consults with outside agencies, and is a graduate of the Lasallian Leadership Institute. 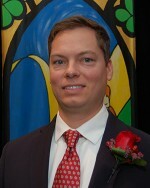 Deacon William Walkowiak is now in his 11th year as campus minister at St. Joseph’s Collegiate Institute. He has worked in some capacity in educational and spiritual Catholic ministry since 1976. Prior to his arrival at St. Joe’s in September 2004, Deacon Bill was ordained a deacon for the Diocese of Buffalo in 2002. He has a master’s degree in pastoral ministry and has attended numerous Lasallian education and formation programs with a particular emphasis on Lasallian youth summer conferences in DENA. Deacon Bill was instrumental in bringing the Kairos retreat program to the school and oversees the Christian service program. Deacon Bill was unable to attend the banquet because of snow in Buffalo. Emily Beckman grew up in Apple Valley, Minnesota, the youngest of three girls. She graduated from the University of Minnesota in 2004 with a Bachelor of Science in kinesiology and a minor in coaching. During her junior year at the University of Minnesota, she coached DeLaSalle boys’ JV soccer and continued volunteering at DeLaSalle offering after-school workout programs, coaching track and field and assisting with technology in the student activities and development offices. Emily was hired full time at DeLaSalle in the development office and is currently the information system analyst, managing the school database systems. Emily also teaches broadcast journalism and yearbook courses. In Word, Witness and Invitation, Melinda (Mindy) Rueden has embodied, enhanced and shared the Lasallian mission in her 10 years of leadership at the Brother David Darst Center. 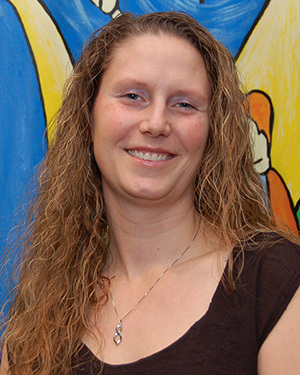 Mindy’s passion for collaborating with the most marginalized people of society has driven the Darst Center’s commitment to welcome and serve with humble resources. She is an executive director who isn’t afraid to get her hands dirty – not just because of a small budget, but because she believes in servant leadership. Justice, peace, spirituality and education are embedded in her core. She will speak, even if, and especially if, her voice shakes, leading with fierce courage and humility, and inspiring all to See it Differently. Bold and innovative, caring and thoughtful, student- focused and insightful – a small refrain of the chorus of praise available for Tony Behan and his work at De La Salle New Orleans. Through his efforts, liturgies have grown in participation and meaning. The ONE BOOK project is a model gaining in national recognition and student impact. He has led efforts to combine student leadership development with service learning for a unique way to grow our future leaders. His groundbreaking methods to integrate technology into his classes and his ministry are remarkable. He has crafted a retreat program that deepens faith for students and teachers. Ed O’Connor is in his 20th year at La Salle High School in Pasadena, California. 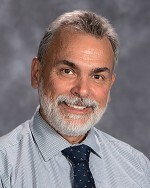 Ed acquired a master’s degree in pastoral studies from Loyola University, Chicago and a master’s degree in educational leadership from the University of San Francisco. 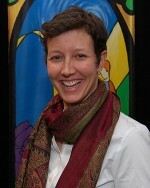 Ed is a member of the Religious Studies department and director of Student Life. 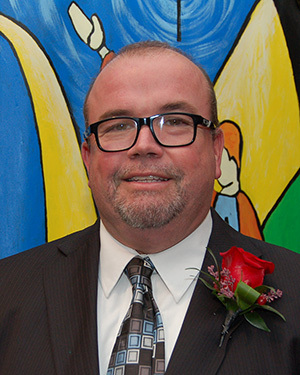 Along with his work at La Salle, Ed has helped lead in the development of the District’s annual summer Lasallian Student Leadership Program since its inception in 2004. He also serves as a support and mentor to those involved in campus ministry, student life, and student leadership programs in schools across the District.